The iPad actually has two passwords associated with it. There is the passcode, which is used for locking your iPad when you are finished using it, and there is the Apple ID password that unlocks the App Store and other Apple services. If you forgot your iPad passcode, you won't be able to use your iPad. Worse, every time you type it in wrong, you risk the iPad becoming locked for a set amount of time. If you forgot your Apple ID password, you can use your iPad, but some functions such as downloading apps or saving files to iCloud may be unavailable. The good news is that we can solve the issue of a forgotten iPad passcode or password. There are two passwords associated with an iPad. The first is commonly referred to as the passcode. This password is used to unlock your iPad so that you can use it. The passcode is generally a 4-digit or 6-digit code. If you have an iPad with Touch ID or Face ID, you can bypass the passcode for a while, but eventually, you will still need that passcode. The iPad requires the passcode to be typed in manually after it has been shut down and powered back on. The second password is for Apple ID. This is the account you use when you are purchasing apps, music, movies, etc. on your iPad. If you have forgotten the password for this account, you will no longer be able to download apps or purchase items from iTunes. The Apple ID password is also the password used when you first set up a new iPad or when you restore an iPad after resetting it to "factory default" status. If you are having problems setting up a new iPad because you don't remember your password, you will need to reset Apple ID password. Did You Recently Reset Your iPad? If you recently reset your iPad to factory default, which puts it in a 'like new' state, the process for setting up the iPad can sometimes be confusing. One step in this process is to input the email address and password for the Apple ID associated with the iPad. This is the same email address and password used for downloading apps and buying music on the iPad. So if you can remember the password you put in when downloading an app, you can try that same password to see if it works. 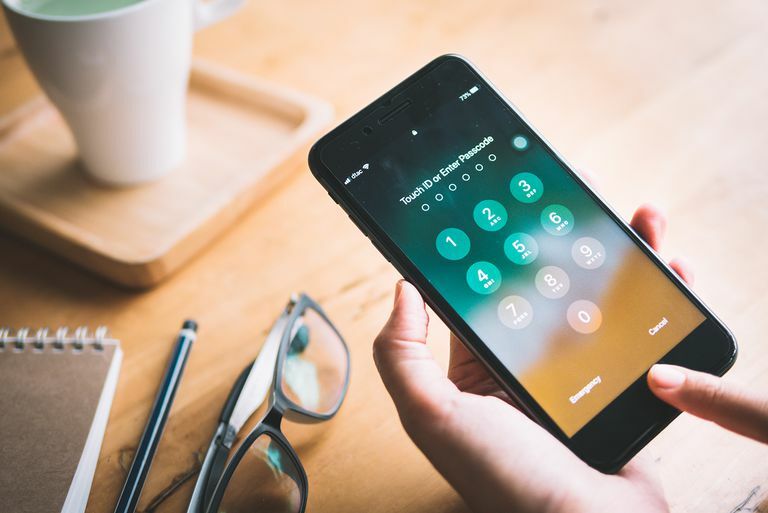 If you haven't downloaded an app in a while, it can be easy to forget your Apple ID's password, especially considering how many passwords we must remember these days. Apple has a website set up for managing the Apple ID account, and this website can help with forgotten passwords. Next, click Forgot Apple ID or password? on the bottom part of the screen just under the Manage Your Apple ID field. Enter the email address associated with your Apple ID, then click the Continue button. You will be asked whether you want to reset your password or your security questions. Choose password. Next, you are asked if you want to be emailed instructions on resetting your password or if you want to answer the security questions to reset it. Answering the security questions is the quickest way to get back up and running, but if you can't remember the answers, choose to get an email. No matter if you choose to answer security questions or get an email, the final piece of the puzzle will be to enter a new password. And that's it! You should be able to use the reset password to sign into your iPad. There is no trick to getting past the passcode required when you try to use your iPad, You can use Touch ID or Face ID to bypass it for a time, but after the iPad reboots, it will require the passcode to be entered manually again. Worst, the iPad will disable if you continue to enter a wrong passcode, and eventually, the iPad will disable permanently. This is to prevent thieves from hacking the device through "brute force," which basically means entering password after password until one works. Unfortunately, it prevents you from dong the same. The only way to fix the problem of a forgotten passcode is to reset the iPad to factory default settings. This means erasing everything on the iPad, but during the set up process you will have the opportunity to restore your iPad from a backup. The easiest way to deal with a passcode that escapes your memory is to use iCloud to reset your iPad. The Find My iPad feature has the ability to reset your iPad remotely. This would normally be used if you want to make sure anyone who finds (or who stole) your iPad won't be able to get at any personal information, but a side benefit is that you can easily wipe your iPad without using your iPad. Of course, you'll need to have to Find My iPad turned on for this to work. Don't know if you turned it on? Follow these instructions to see if your device shows up on the list. Go to www.icloud.com in a web browser. Sign into iCloud when prompted. If you have two-factor authentication set up on your account, a code will be sent to all of your Apple devices. You will need this code to continue signing in to iCloud. Click on Find My iPhone. When the map comes up, click All Devices at the top and choose your iPad from the list. When the iPad is selected, a window appears in the top-left corner of the map. This window has three buttons: Play Sound, Lost Mode (which locks the iPad down) and Erase iPad. Verify that the device name just above these buttons is, in fact, your iPad. You don't want to erase your iPhone by mistake! Tap the Erase iPad button and follow the directions. It'll ask you to verify your choice. Once done, your iPad will begin resetting. Your iPad will need to be charged and connected to the Internet for this to work, so it is a good idea to plug it in while it is resetting. If you have ever synced your iPad to iTunes on your PC, whether to transfer music and movies to it or simply back the device up on your computer, you can restore it using the PC. However, you must have trusted that computer sometime in the past, so if you've never hooked up your iPad to your PC, this option won't work. Connect your iPad to the PC you normally use to sync and boot up iTunes. The first thing that will happen is iTunes will sync with the iPad. Wait until this process finishes, then tap your device in the Devices section of the left-side menu. Next, tap the Restore button. This article also provides detailed instructions on how to restore your iPad from your PC. Even if you haven't turned on Find My iPad and you've never plugged your iPad into your PC, you can reset the iPad by going into recovery mode. However, you will need to plug it into a PC with iTunes. If you don't have iTunes, you can download it from Apple, and if you don't have a PC at all, you can use a friend's computer. Quit iTunes if it is open on your PC. Connect the iPad to your PC using the cable that came with your iPad. If iTunes doesn't automatically open, launch it by clicking on the icon. Hold down both the Sleep/Wake button and the Home button on the iPad and keep holding them even when the Apple logo appears. When you see the graphic of the iPad being connected to iTunes, you can release the buttons. You should be prompted to Restore or Update the iPad. Choose Restore and follow the directions. It will take a few minutes to restore the iPad, which will power off and power back on during the process. Once it is finished, you will be prompted to set up the iPad just as you did when you first purchased it. You can choose to restore from a backup during this process.